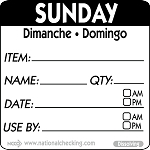 2″ square dissolving food rotation labels dissolve completely in water. 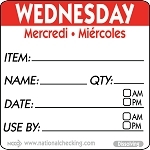 These biodegradable labels ensure you’ll never scrape crusty tape or labels off washed containers again. 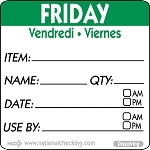 Each label is preprinted with the color coded day of the week along with prompts for recording pertinent information including: item, name, quantity, preparation date and use by date. 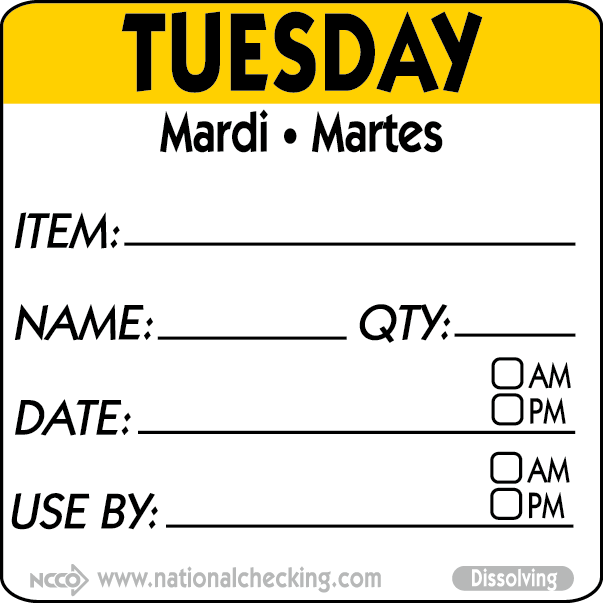 Works in temps range: -40°F to 176°F with a minimum application temp of 21°F when adhered above condensation line. 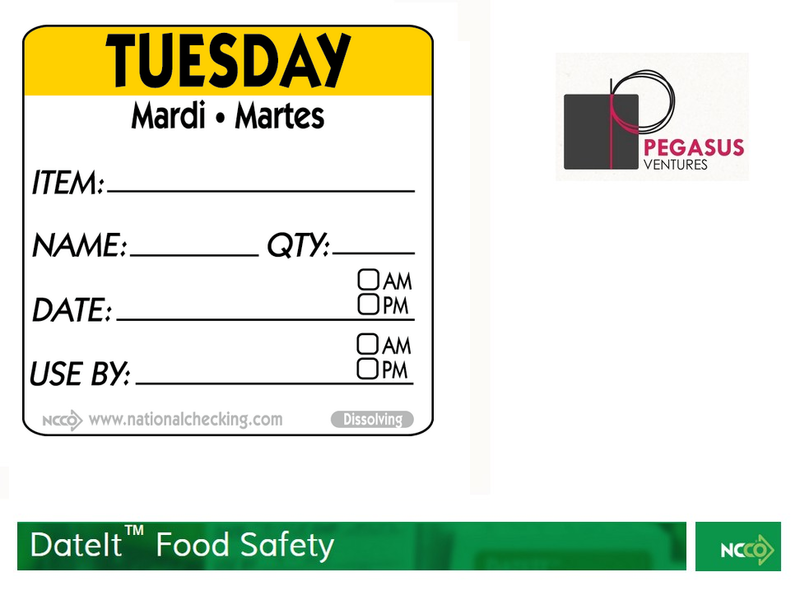 DateIt™ Food Safety 2" x 2" Item/Date/Use By Dissolving Labels make for a minimum investment with great savings potential for your restaurant or commercial kitchen. 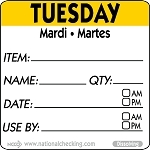 The average restaurant spends less than $200 annually on DateIt™ dissolving food rotation labels from Pegasus Ventures! 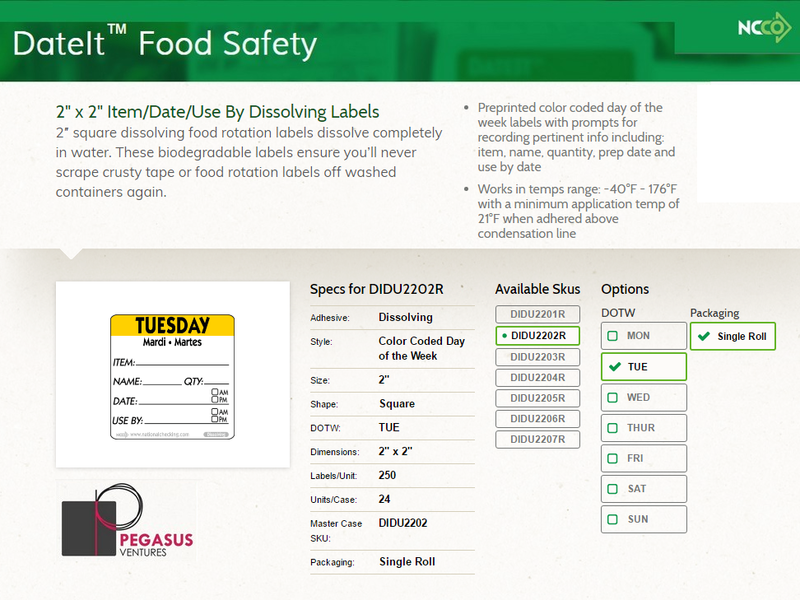 And reduce food waste using the DateIt™ food safety products to easily monitor expiration dates. 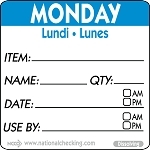 Check below for everyday of the week related food rotation labels below as well as the dispenser, the LL7R-2 Plastic 2" Day of the Week Label Dispenser- 7 day from DateIt™ Food Safety, that works well with these 2" day of the week dissolving food rotation labels.